Large and spacious enough for a small group hunt, but designed for easy transport, the Grounder 350 is also big enough for you to stand in--so you’ll have every opportunity for the perfect shot. With a host of other great features, the Grounder 350 is an excellent option for your next hunt. Color:Digital jungle. 1x Military Camouflage Net. Ideal for Car covering, Birdwatching, Camping,Hunting, CS etc. If you don't want waiting. "BUY IT NOW". Treestand Material: Steel. Treestand Type: Climbing. Sniper STCT10 The Insider Climbing. Climbing stand with accessory bag included. Folds flat for transportation. Accessories included to make a complete system. Material: Lightweight, strong with durable 250D polyester oxford. All purpose blind for turkey, deer, or predator. Water resistant. Resists mold. Buck Brush camo. Shock cord pole connection. Adjustable shoulder strap. Rot proof/mildew proof. 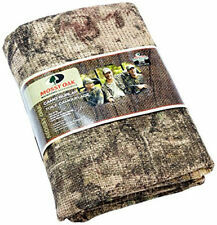 1 Piece Hunting Camo Netting. Color: Desert Digital Camo. We also have other size (1x1m/1.5x2m/1.5x3m/2x2m/2x3m/2x4m/2x6m/3x3m/3x4m/3x5m/4x4m/5x7m, etc) and other color (Jungle Digital, Black, Green, White, Desert, Desert Digital, Blue Ocean). New durable and lightweight camouflage netting. 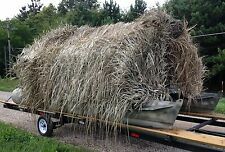 Military Camouflage Camo Net. Color:Jungle camouflage. Leaf-like, waterproof, mildew proof and durable. Good for Car-Covering, Birdwatching, Camping or Hunting, etc. 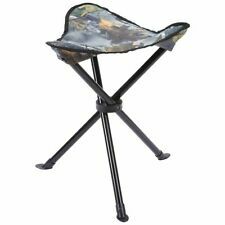 Ideal for portable stand Hunters or permanent Box Blinds. Hunting ethics dictate that every effort possible must be made to ensure that game animals do not suffer needlessly. BURLAP VINTAGE NATURAL JUTE FABRIC 54" INCHES WIDE WIDTH 10 OZ FABRIC WITH NO STRETCH 10 SOLID CONTINUOUS YARDS DRY CLEAN CARE RECOMMENDED THE VINTAGE BURLAP SOMETIMES CALLED HESSIAN CLOTH THAT WE OFFER IS A PREMIUM QUALITY TYPE THAT HAS BEEN USED FOR DECADES. A SUPERIOR QUALITY THAT ORIGINATES NATURALLY BY NATURE. PRODUCED ORGANIC FROM A JUTE PLANT, THIS IS A ENVIRONMENTALY FRIENDLY GREEN FABRIC. BURLAP IS A VERY STRONG AND PLIABLE FABRIC THAT IS EASY TO WORK WITH. THIS IS ONE OF THE REASONS OF THE VAST USES FOR BURLAP. 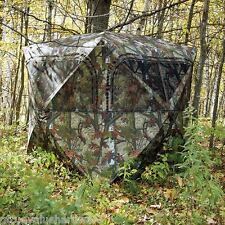 Molded from a real oak tree, the TREEBLIND HERO 84" Diameter Hunting Blind is a fully insulated blind that will keep you hidden from both the deer and the elements. BURLAP VINTAGE NATURAL JUTE FABRIC 72" INCHES WIDE WIDTH 10 OZ FABRIC WITH NO STRETCH PURCHASE BY THE YARD DRY CLEAN CARE RECOMMENDED THE VINTAGE BURLAP SOMETIMES CALLED HESSIAN CLOTH THAT WE OFFER IS A PREMIUM QUALITY TYPE THAT HAS BEEN USED FOR DECADES. A SUPERIOR QUALITY THAT ORIGINATES NATURALLY BY NATURE. PRODUCED ORGANIC FROM A JUTE PLANT, THIS IS A ENVIRONMENTALY FRIENDLY GREEN FABRIC. BURLAP IS A VERY STRONG AND PLIABLE FABRIC THAT IS EASY TO WORK WITH. THIS IS ONE OF THE REASONS OF THE VAST USES FOR BURLAP. Molded from a real oak tree, the TREEBLIND SOLO 65" Diameter Hunting Blind is a fully insulated blind that will keep you hidden from both the deer and the elements. 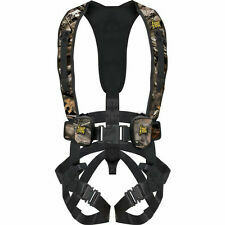 New Hunter Saftey Systems Bowhunter X-1 Harness. In size L/XL. It is the X- series with suspension relief and deer drag. Color: ACU Camouflage. Ideal for covering all gear including weapons, torches, flasks etc. Can be used repeatedly, feel good. Product Warranty. Very good used condition. We would love to make a deal! ---100% Polyester ---Imported ---Heavy-duty robust design with 300 lb capacity ---Weighs 9 lbs for easy transportation ---Lightweight travel bag included ---Gear pouch included under seat Any free shipping offers apply to Lower 48 states only International Fees are not included Import duties, taxes, and charges are not included in the item price or shipping cost. These charges are the buyer's responsibility. Please check with your country's customs office to determine what these additional costs will be prior to bidding or buying. International buyers please provide valid phone number with order. Trending at C $33.70eBay determines this price through a machine-learned model of the product's sale prices within the last 90 days. Hunter Safety System Hunter Safety Vest / Harness Reversible Mossy Oak Treestand Camo / Hunter Orange. 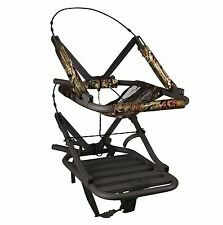 HSS 100 Hunter Safety System Mossy Oak Camo Reversible Size 2X/3X. Suspension Relief Technology utilizes the HSS deer drag to relieve leg and chest pressure during recovery. 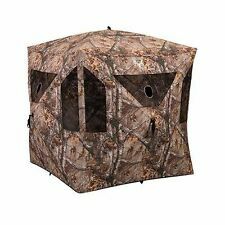 Barronett Grounder Blind GR250BTS 2 Man Grounder 250 Hunting Blind with BLOODTRAIL Snow Camo 59x59x67 HUB STYLE BLIND GROUNDER SERIES Model GR250BTS NEW IN BOX Grounder 250 Hunting Blind with BLOODTRAIL Snow Camo The most popular-sized Grounder, the Grounder 250 ground hub blind is a reliable and portable option for staying hidden during your hunt. The blind offers extra elbow room, but still remains compact and easy to transport. Features: Durable five-hub design for easy set-up and take-down. Simply pop up and hunt. Durable, lightweight fabric with a black interior coating for maximum concealment. Ground skirt around entire blind keeps wind out while containing scents and shielding movement. Full-length zippered door located in corner for easy entry. Includes gear storage pocket and replaceable shoot-through mesh camo windows. Trending at C $134.84eBay determines this price through a machine-learned model of the product's sale prices within the last 90 days. The High Thrust Step-In Fins by Classic Accessories will help get you to where the fish are. Great for use with inflatable fly fishing watercraft, like pontoon boats or float tubes. High Thrust Float Tube Fins keep you moving swiftly, and comfortably, through the water. � Fits Kawasaki Mule 4000, 4010 4x4 and 4010 4x4 Diesel model UTVs. The Quad Gear UTV Bench Seat Cover by Classic Accessories provides a quick-fit cover to keep seats clean and dry. It is made of heavy-duty ProtekX6 fabric with a water-resistant backing and exterior coating for maximum weather and abrasion protection. This durable bow holder installs in minutes to any tree stand platform. See pictures and features below for details of this great deal! Mounts to any tree stand platform…includes 2-1/4" screws for clamping down onto platform, but you can substitute larger screws for thicker platforms. Hunter Safety Systems new Rope-Style Tree Strap makes attaching your harness to the tree as quick, quiet and easy as it can get. Need a bit more room to get away from the tree?. No problem here. HELPFUL LINKS. Umbrella / Blind Portable ~. Can be used as a portable blind for Walk-and-stalk hunting. Camo Tree Stand. ~ Guide Gear. Folds Down to a Compact Size.